Klayman Explains How He Will Put Mueller, Comey, the Clintons, Obama and Their Comrades in Prison! 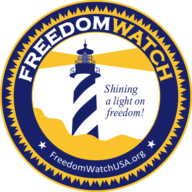 Go to www.FreedomWatchUSA.org to Sign and Support Petition to Name Me Special Counsel! Also Donate and Share!